If you are going out camping, backpacking or hiking, then you will probably need to get a decent little camp cookstove that you can carry with you in your pack. 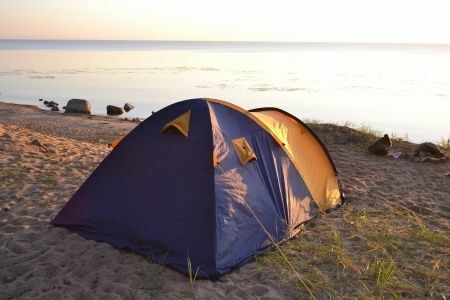 I’ve looked at a lot of these things read more than my share of the best portable camping stoves reviews and comparison guides out there. As you may already know, there are different types of portable camp stoves based on design and fuel type. But here’s the thing – for most of them you have to carry a fuel supply, so even if the actual stove is lightweight you still have to account for the weight of the fuel. That is what is so attractive about alternative fuel camp stoves, which is just a fancy way of saying wood burning camp stove. Technically, you can also burn leaves and other debris, but you get the point. So, if you’ve been saving up for the best single burner camp stove that money can buy, first take a look at the ultimate camp stove below and see if it doesn’t better meet your needs. When I was looking at the different campstoves, I came across something that I didn’t even know existed in the BioLite Wood Burning Campstove. 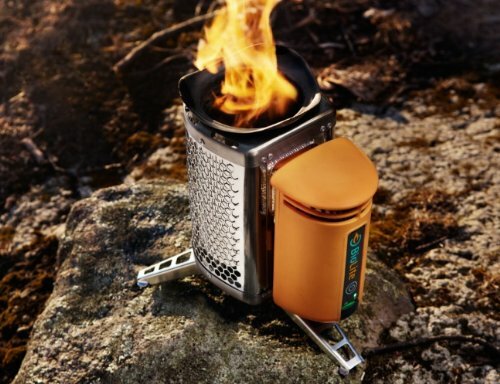 A camp stove that charges your USB devices! Sounds crazy, huh? But it’s true – this stove converts the heat from the fire into energy so that you can charge your USB devices while boiling water or making something else over the fire. 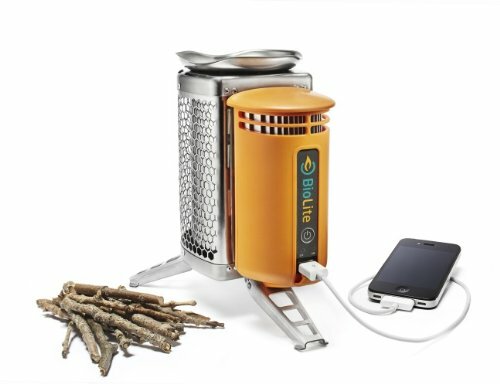 Even better, this thing is super eco-friendly since it doesn’t require any fuel other than branches and leaves, and you don’t end up with a fuel canister that you have to dispose of like with the more common canister camping stoves. That also makes it great to keep at home in case of emergencies. Another benefit is that it keeps your pack light since the ultra-lightweight stove is all you have to carry with you – no heavy fuel weighing you down. Of course, this stove is not without its disadvantages. Probably the biggest issue with it is that building a fire can be a challenge if you can’t find dry kindling, such as if a recent rain has left all the leaves and twigs damp. Another potential downside for some people is the cost. There is no denying that the price tag is higher than all those popular cheap camp stoves, however over the long run it is not so bad since you will not be buying fuel for this one like you would for a little Coleman propane stove or the like. Can you use cook pots on this wood burning camp stove? This thing is about the same size as a Naglene bottle, so you’d think that it wouldn’t be able to handle much in terms of cook pots. You can actually use cook pots up to around 10-inches in diameter and supposedly it can handle up to 8 pounds total. I haven’t tested out the maximum weight limit, but that seems like a reasonable amount. How dirty does the BioLite Wood Burning Campstove get after use? Since you’re burning basically forest debris, you might be wondering if this thing gets dirty and will get your pack all dirty as well. First, this stove comes in a bag so you don’t have to worry about it touching anything else in your pack. Second, it burns clean. And third, it only leaves a bit of ash as it really burns up everything and all you have to do is dump it and do a quick wipe down. What if you get caught out in the rain? Starting a fire with wet twigs is definitely a challenge. You can overcome it by starting the first with something dry, even if it comes from your pack and not the forest. You can also use your multi-tool to shave the twigs for a finer tinder that will ignite easier. Is this a good cold weather backpacking stove? Assuming that you are not using it on snow covered ground, then I think that this is the best cold weather backpacking stove! It works well in low temperature since it’s just a wood burning stove at its core. Even the power USB charger works well in cold weather.